This blog is an excerpt from the panel on “Supporting College Student Access and Success” from the American Educational Research Association conference on January 17, 2017. Our Senior Vice President, Audrey Dow, gave remarks on policy opportunities that could help address college student access and success. Please click the video above to watch the entire remarks. 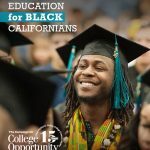 Today the University of California (UC) strengthened their commitment to increasing the number of transfer students they serve by extending the application window for qualified students wishing to transfer from a California community college. The extension from November 30th to January 4th has the potential to increase the number of transfer applicants to the UC. 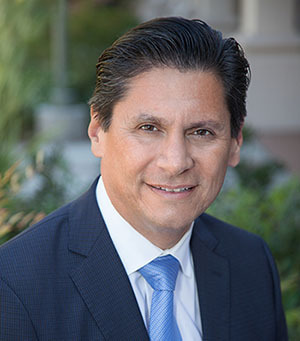 The news of the application extension comes just five months after UC’s announcement of the Transfer Pathways, an effort to streamline transfer between California Community Colleges and the UC. The news is also on the heels of UC’s announcement to add 10,000 new spots for California undergraduates over the next three years. 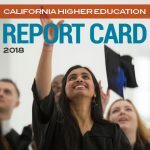 The Regents of the University of California (UC) approved the plan presented by President Janet Napolitano and will accept 10,000 more California students across the UC through 2018. 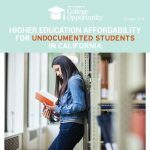 This will be funded with the $25 million allocated by the recent 2015-16 state budget and by phasing out the UC’s need-based aid for low-income students from other states. 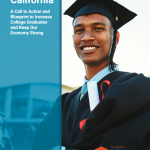 Since 1994, the number of applicants from California students applying to the UC has more than doubled. Unfortunately, the UC has not kept pace with demand and students are finding it harder to get in. Insufficient state funding and increasing competition for too few college spots means increasingly well-qualified students are nonetheless turned away. 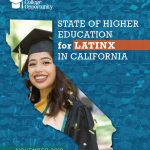 In response, the UC has significantly increased the enrollment of out-of-state and international students – which comes with big revenue benefits – while the number of California students at the UC has remained flat.